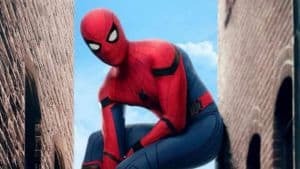 Spider-Man Homecoming 2 to Introduce New Costume | Nerd Much? We’re beginning to learn more and more about next year’s Spider-Man Homecoming 2 (just not the title yet, obviously). And one of the newest details to seep out of Marvel’s camp is news that Peter Parking will be donning a new suit within the events of his upcoming sequel. Costume designer Louis Frogley just came off of another Marvel project, Ant-Man and the Wasp. Prior to that, Frogley worked on the iconic new suit that Spider-Man was gifted by Tony Stark in the flick Spider-Man Homecoming. “Technically, it was very difficult because we were trying to get back to the earlier years and it was hard to create. We had to get the scale absolutely right, and we did a lot of camera testing to visualize the final product. We did close to ten tests before we finally got it right and it was very important to get the technical elements of it right. Marvel was really good in content for the testing. We had a very brilliant cutter finisher too who make the actual patent-like suit. We were very lucky that we had very gifted people working with us. We wanted to make it fresh but very classic because it’s the beginning of the Spider-Man as a young man. Filming for Spider-Man Homecoming 2 is slated to begin next month. It won’t be too long following that when we get an opportunity to see actor Tom Holland in his new costume. Whether that’s through official media or leaked images is to be determined. Spider-Man Homecoming 2 is scheduled to swing into theaters on July 5th, 2019. The movie brings back much of the original cast including Holland, Michael Keaton, Jacob Batalon, Zendaya, and Marisa Tomei. Jake Gyllenhaal is rumored to have joined the cast as well as the villain Mysterio.